Ok, so this might be a little bit of a long-ish story, but I'm at the end of my rope and I don't know what else to do. About a year ago, I purchased a newer truck and my '87 Wagoneer XJ 4.0 got relegated to back up vehicle duties. I tried to ensure I drove it to and from work at least once a week (~35 miles round trip), though sometimes it would be every other week. Regardless though, I didn't have any issues until a few months ago (Late-Nov/Dec). I went out one morning to take my Jeep and she didn't start. Dead battery. I thought it was my fault because I remember that I hadn't driven it in a couple of weeks so I threw the battery on the smart charger and went to work. I came back that evening and put the battery back in and it started and all was fine, it seemed. But over the next month (Dec) it did it more and more, so I figured I had a voltage leak. It was the holidays and I didn't really have much time to deal with it. With it being cold, I decided to remove the battery and leave it on the smart charger in my garage rather than let it sit out in the cold. So I let the Jeep sit for a few more weeks. After the holidays were over I decided to dive back into the issue with more gusto. I put the battery back in the Jeep with the intentions of trying to track a voltage leak. I put the battery in and noticed that the voltage was reading low in the cluster, I tried to start the it and nuttin. So I checked the battery, and to my surprise, the battery was low (I think it was like 10 volts). So I thought that I'd just try to jump the battery and get it running and charged back up (please note - after doing all my research, mentioned below, I now know this is a bad thing to do, but at this point, it's already done). Still didn't start. So I removed the battery and checked the date and it was over 2 yrs old. I knew I hadn't purchased it more than a year ago, but I thought that potentially explained my issues. I went back to Advance Auto and they replaced it with a brand new (made in the previous month, 12/18) battery. I thought that I'd be good to go. Threw the new battery and noticed the gauge cluster was still reading low. I know they aren't always accurate, so I tired to start it anyway, annnnnnd nothing. DAMNIT. At this point I'm thinking maybe I have a blown fuse somewhere. 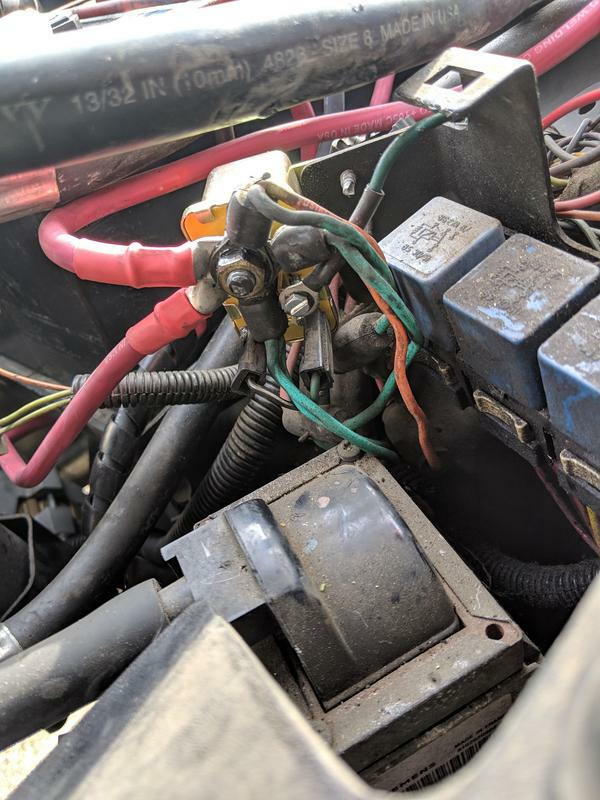 So I check the fuses and no fuses in the actual fuse block itself are bad, however, the 4-amp fuse that was just hanging down under the dash in a little fuse holder with two wires was blown out. I replaced that fuse. I honestly haven't the foggiest idea what it does, but it was blown, so I replaced it. 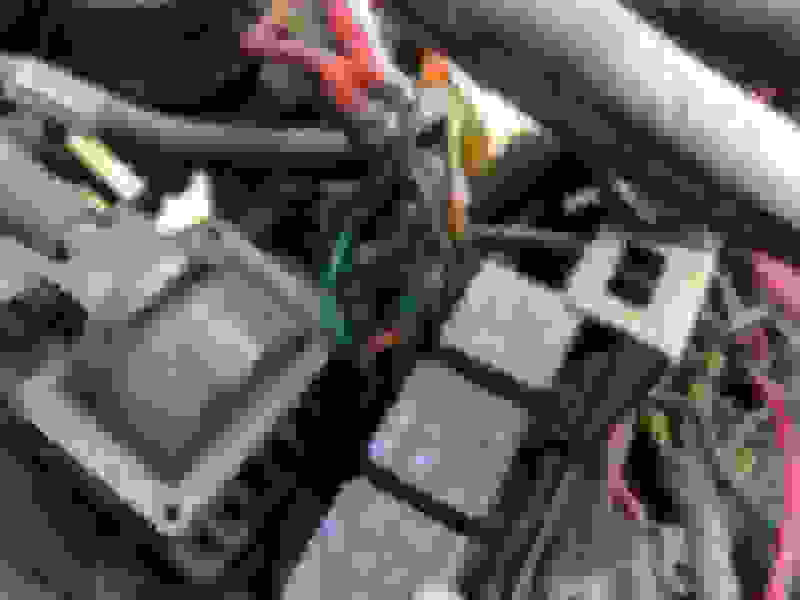 Anyway, I went about reading all that I could on this kind of issue and one of the first things that came up was that battery cables could be corroded and causing low voltage. I've been needing to replace the cables for a long time so I purchased a new set from MeanLemons.com (Mean Lemons cables, nice cables, btw). When I went about this task I was was damn sure I had figured out the problem because the cables were destroyed. I mean I'm embarrassed to admit that the insulation was literally falling off the cables. So I replaced them all, including replacing the fusible link to the alternator with an actual fused link that came with the kit. Figured I'd definitely nailed the issue. Hook up the battery and moment of truth. Nothing at all, again. I think, well maybe it's something between the ignition and starter solenoid and try jumping the starter with a screwdriver. The starter spins up no problem, but the gear doesn't engage and spin the engine. Ok, cue more research. So after a bit more searching it looks like I could have an issue with my ignition switch, they tend to burn out on these Renix-era Jeeps. 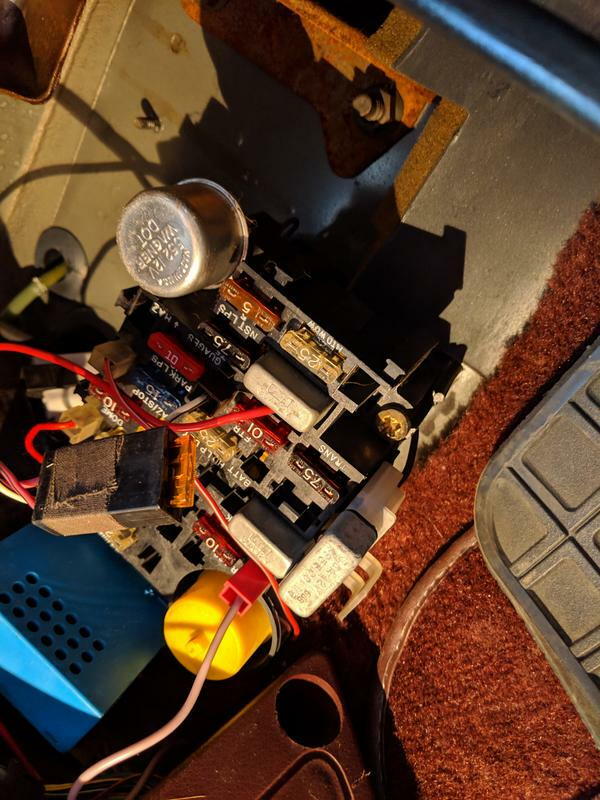 So I pull the bottom bezel of the dash off, lower the column, and sure enough, my ignition switch is burned up just like every one you see online. So I order a replacement ignition switch and pigtail. 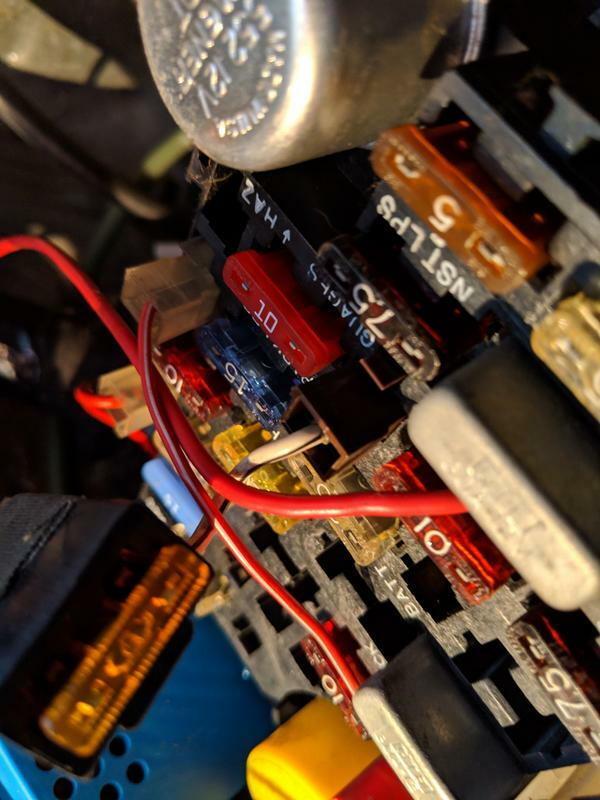 I also come across some folks mentioning that the starter relay (up by the coil), so I also order one of those, just in case the ignition switch doesn't do the trick. Ok, so today I go out there and install the new ignition switch and, you guessed it. Damn thing still didn't start. So then I say, "ah ha! It must be that relay!" Which I think proceed to change out as well. Guess what? STILL NOTHING. No change, nothing. Voltage on dash is still low, but everything else works just fine. Also, note, I tried the screwdriver between the lugs on the starter again, after each new part, same thing, starter spins, but doesn't spin the engine. 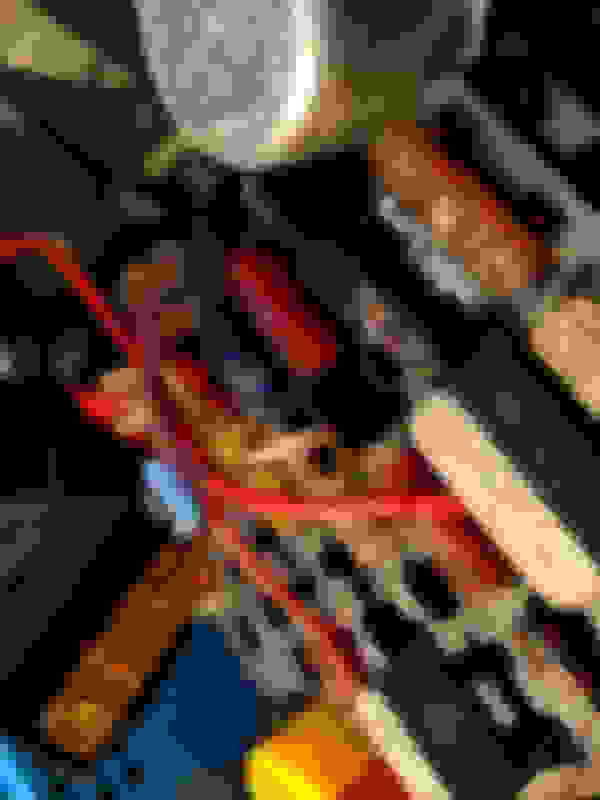 One other thing, I checked the fuses again, still nothing burned out in the fuse block itself, however, that little unidentified 4-amp fuse was burned out again. I replaced it once more. Still no idea what it does. So, depressed and mad, I came inside a did a bit more thinking and made the cavernous leap (I know right?) that maybe it's just the starter solenoid itself? So I did a bit more research and it seems that I may not be too far off the mark. I just so happen to have a new starter w/solenoid in the box from an accidental RockAuto purchase a year or so before when I let return window elapse. So as you all know by know, I went out there, changed out the starter/solenoid and wrap it up thinking that I've definitely figured it out this time. Well, you guessed, nope. SAME DAMN thing. No change. 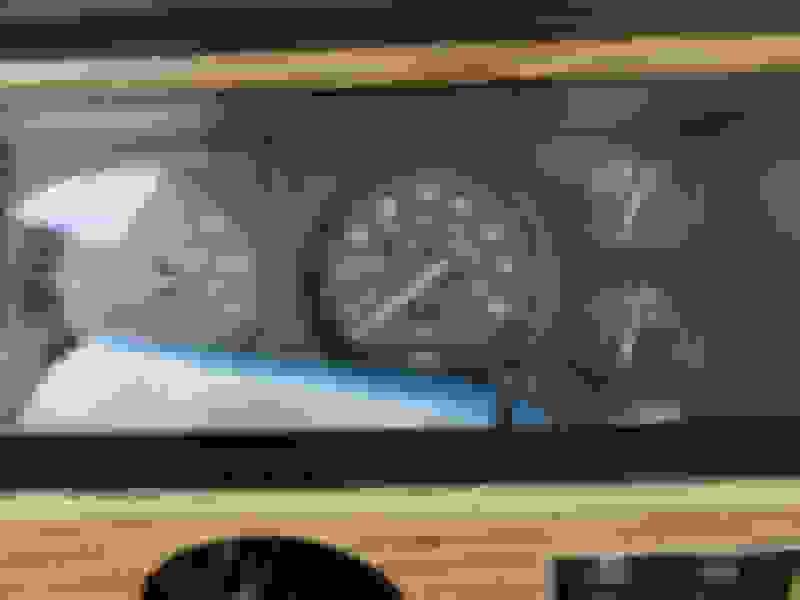 Voltage on cluster still reading low. Screwdriver across the starter lugs and the *new* starter spins freely, but doesn't spin the engine (I know that means the solenoid isn't shooting the gear out)...so maybe there is something that I'm not understanding that is causing the signal from the ignition switch to the starter relay to the solenoid to not happen? I dunno, honestly, at this point I really don't know what the hell is going on and I could really use some advice! 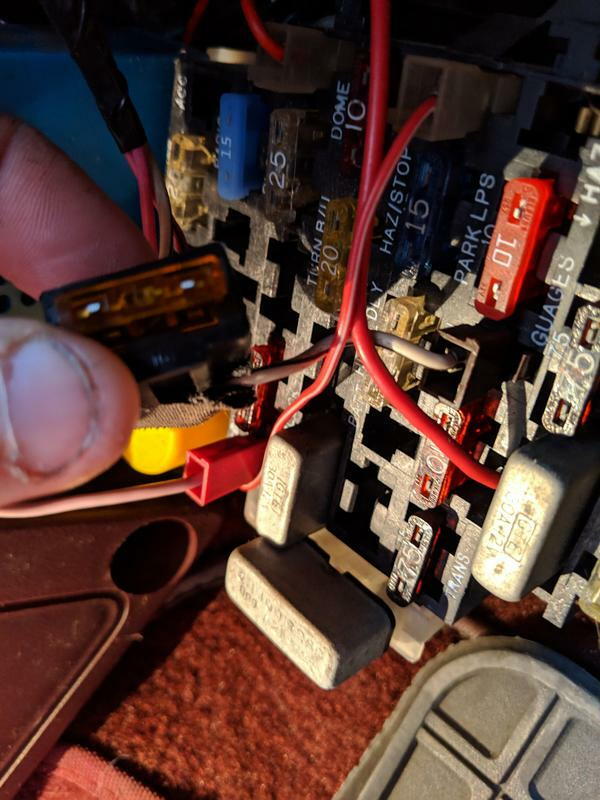 Little UNK 4-amp fuse hanging under driver side dash has blown twice. Last edited by MayerMR; 02-02-2019 at 09:27 PM. I sent you a couple of starting wiring diagrams. You can remove the starter set and take them to an O'Reilly's to have them tested for free. Make sure to visually verify the movement outward and not just the spinning. Thank you very much. As a more general question though; is there *anything* else in the electrical system that would/could cause the same symptom it happen in both starters? ie, the original starter, when jumped, did the same thing as the replacement starter, which is to spin, but not extend the bendix sprocket and turn the engine over. I understand that sometimes starters are faulty from new or that the bendix mechanisms can get "stuck", etc. But man, I just gotta say that it seems super strange that two would do that exact thing....maybe not though. Almost sounds like you're not in park or neutral. Could be the TV cable adjustment? I'm not familiar with the 87 XJ systems and the transmission switch/computer equipment. I assume when you have had the starter in and out that you have visually inspected the flywheel surface to ensure that you do not have a spot with missing teeth, etc. Is it brutally cold when working on all of this? If so, have you tried warming up the starter (by whatever means necessary) and slightly tapping it with a hammer to see if the condition changes? I agree that having too starters fail in the same way is not normal. Would be a heck of a coincidence. But I've had a few coincidences when working on my fleet, so keep an open mind. Your first post is so long, it is difficult for me to catalogue everything you have tried already, and what the current state is. Do you still have low voltage in the cab? Definitely in Park and have tried starting when in neutral as well. I have also "shifted" the shifter when in park, just to see if the NSS was an issue. I did check that, not the whole flywheel, but I did do an inspection. It doesn't appear to have hardly any wear at all, no grinding marks, etc. Honestly, I just don't think the Bendix is pushing out and contacting the flywheel at all when I jump it. No no, it's not. I'm in Texas. It's not really cold at all right now. I think it was in the 60's yesterday. I'm definitely trying to keep an open mind! Could it be that I'm jumping the starter incorrectly? I need to be jumping between the two main lugs right? Not the 12v battery lug and the smaller solenoid lug, correct? I mean the second lug has a cable connecting the solenoid, so I'd assume it'd still get current...but hell, at this point I'm questioning everything. 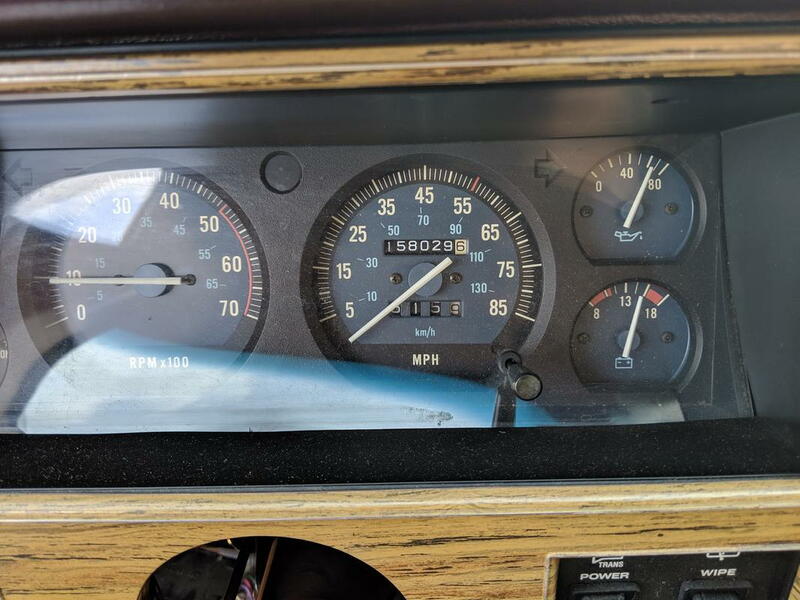 Yes, the gauge in the cab is still reading something like 8v. Can you perform a current drain check across the battery circuit? Check it at rest (ignition off) and then with ignition switch in the On position (non-cranking detent). It sounds like current is being shunted away from the starter (and in some way related to the 4-amp fuse blowing you mention). It might explain the missing voltage (muscle) needed to properly engage the bendix. How do I perform this check? Do you have a DMM (digital multimeter), or can borrow one? You'll also need an amp clamp to attach to the meter for the On position check. Key Off, all doors closed and under-hood lamp disconnected. 2) Disconnect the positive battery cable from the battery. 2) Make sure the meter leads are connected to the Amperage (Current) jacks on the meter. They're usually well marked. 4) There should be zero current drain with key off. If a small current draw is indicating then something in the system is drawing current and it may be the normal draw. But, only a very small amount would be considered normal. 1) Attach the amp clamp to the same meter jacks noted above. Set it for DC milliamps. The amp clamp senses current and correlates it to a voltage for read-out on the meter screen. The value illustrated is the measure of current draw, in amperes, of the load (electrical system) on the battery. 2) Clamp the amp clamp over the positive cable. 3) Turn the key to the On position. 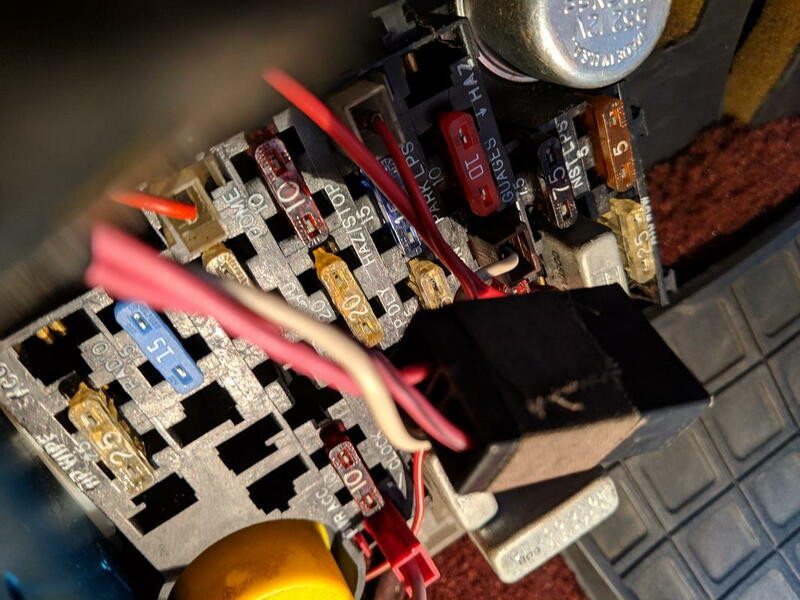 4) The amp draw indicated on the meter screen should be only what is normally consumed by the vehicle at this key position, and certainly less than a condition that would shunt 4-5 volts away from a healthy battery. (Decidedly, this value should be a known reference before this check is done.) In the mean time I'll go check my system and get some kind of reference for this check. Edit to add: I just checked current draw from the battery with the key in the Off and the On positions. 2) On - 0.10 Amp after a 10 second delay, fuel pump relay removed. So, 1/10th of an amp we can use as a reference. Last edited by Idunno; 02-03-2019 at 11:55 AM. Thanks for the explanation! I do have both a digital multimeter and an amp clamp meter. I very much appreciate you taking those readings for me. I've got a sick little one that I'm hanging with today, so I don't know if I'll be able to go take those readings today, but I will report back when I am able to. I wanna read this later. Do look at cruiser54.com in the meantime if you like. I didn't have much time to go out and mess with the Jeep today due to a sick baby, but I did have about 30 mins while she was sleeping (don't worry I had the video monitor with me!). I just had to try something that I was thinking about after reading about how I was was likely jumping the starter incorrectly. I swear I've jumped lug-to-lug before on other vehicles and that is how I got the engines to start, but maybe not. Anyway, I used my HF Remote Starter Switch. I hooked the negative lead to the starter solenoid and the positive to the positive battery terminal. I turned the key on and depressed the button and the engine cranked and started immediately and ran very well. In fact, it started up *much* faster than it ever has in the years that I've owned it. I haven't put the column bolts back in yet since I have still been troubleshooting, but I did put it in drive and reverse and go back and forth a bit just incase there was something with the NSS - maybe realign it - was my reasoning, anyway. Once I cut the ignition switch off it would not restart, same "no click" condition. Also, I realized that I misspoke before, the gauge in the cluster isn't reading 8v, it's reading closer to 11-12v, which actually I think is accurate as the battery is at 12.7v as I haven't charged it in a week or so. When the engine was running it was reading at something like 14v (see picture) which is what it was reading BEFORE I started having problems, so I count that as a good sign - some part that I changed in the last couple of days is doing some good. Anyway, that's all I was able to get to today, but hopefully, that effort will be helpful evidence in diagnosing my situation. My guess is that I have to have some burned up fusible links...I've included some photos of my solenoid and the fusible links. Does anyone know exactly how many fusible links are in there are what the wire gauges of these links are? I can buy some new ones from Advance Auto, but I just can't find anywhere starting the actual gauge you need for these. Did you spray the connections when you replaced the battery cables to ensure good connection? Nickintimefilms on YouTube has an old Renix Cherokee. This video talks about the relay that you photographed. https://m.youtube.com/watch?v=baU6_wBkk8k He also has a video on diagnosing the starter/no start. I still haven't had time to read all that. Right now my cloths are 1/2 mud by weight and a hot bathtub is waiting....Do know the Renix ign switch is adjustable, it's mount has slots.I believe the rod pushes, meaning one might pull the switch towards the wheel to get max throw/push, from the key. Jiggling the shiftier around park = neutral while holding the key over might tell you if the NSS is gummy. I did clean the connections and used the oxgard stuff that cruiser54 suggests for all connections. I've seen some of his videos, though I don't know that I've seen that one. I'll look it up. No worried Flintstone! I do know that it's adjustable, but I'm pretty sure I have it adjusted correctly, but certainly worth checking once I confirm that/if I'm getting power to the solenoid...I think the next test would be to disconnect the solenoid wire from the starter relay and put 12v to the spade connector and see if the solenoid activates? If not, then it seems likely that I may have a bad fusible link in that wire or as you say, the ignition switch could be misadjusted? Last edited by MayerMR; 02-04-2019 at 08:43 AM.